Professional teams take part in the highest level of sports competition, and we make sure their team management and game preparation are the best in the world as well. We offer the most advanced solutions that replace paper-based playbooks and computer-based film study with the latest in mobile technology to enhance your team’s preparation by improving your players’ study time, retention and speed of learning. 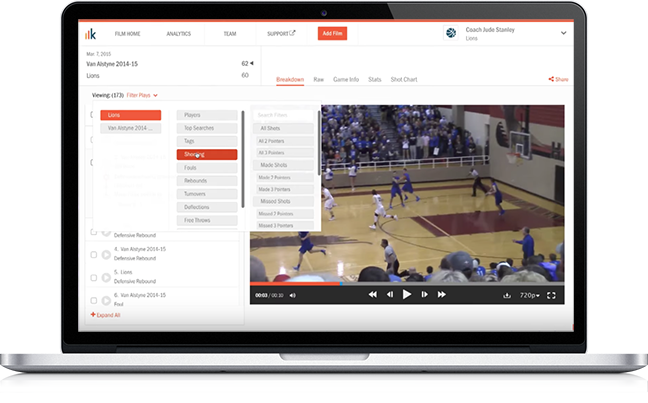 We’ll help you win games this season with full-service game film analysis, comprehensive statistics, and streamlined sharing tools that will get you ready to get your game on. By providing archived college and high school game film, running custom analytics on your prospects, and providing valuable player evaluation tools will help you make more informed player personnel decisions come selection time.